I was diagnosed with ductal carcinoma in situ (DCIS) in the right breast via a screening mammogram in April 2010. I had no physical symptoms. I understand most women with DCIS, like me, are not aware of any symptoms at the time of diagnosis. Because of the lack of symptoms, the diagnosis came as a shock to me and I am sure many others with a similar diagnosis. I was provided with a lot of information both verbally and printed during follow-up visits and when receiving confirmation of the diagnosis. I chose to attend all my appointments alone even though I had several offers from family and friends to attend with me. I didn’t want to accept them as I felt at the time that I was imposing. On reflection I can see that they wouldn’t have seen it that way. I would advise any woman newly diagnosed with DCIS to take a trusted support person to appointments. It can all be a bit of a blur at the beginning, and after hearing the word cancer in any context you don’t always hear or comprehend what is said next. Even though I found the support of breast care nurses amazing, I feel I would have benefited from someone understanding my situation in detail and being able to share my thoughts with them knowing they would be prepared to listen at any time. My treatment plan was to have surgery to remove the affected tissue followed by a course of radiation therapy. However, the first surgery and a subsequent second surgery both failed to remove all the affected tissue, as the extent of the DCIS was much greater than anticipated. I don’t recall this possibility being discussed before the first or second surgeries – it would have at least alerted me that this may happen. I had a mastectomy and sentinel lymph nodes removed in July 2010. The care given and information provided was excellent. However, there was one aspect that was confusing. While some medical staff took great care to refer to the condition as “pre-cancerous”, others used the term “cancer”. I found this variation also occurred in information sourced via the internet. I think terminology used is very important to help the patient to understand the situation. A mammogram in April 2016 – part of my annual check-up – detected DCIS that had started to become invasive cancer in my left breast. Given my history I opted for an immediate mastectomy. Apparently for some reason my body produces large amounts of DCIS tissue. I had been informed that having had DCIS once before increased the chance of having it again. I am very lucky that no cancerous cells were detected in the lymph nodes that were removed in both mastectomies and I am keeping good health. Ductal carcinoma in situ (DCIS) refers to the abnormal changes in the cells that line the milk ducts in the breast. It is a precancerous condition, but there is currently no way that is 100 per cent accurate to predict if, how and when DCIS will become invasive breast cancer. Treatment for DCIS is recommended to minimise the risk of DCIS coming back and of developing invasive breast cancer. 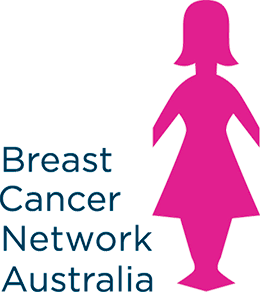 BCNA has developed new, high quality, evidence-based information about DCIS. The information is now available via BCNA’s new My Journey online tool and as a printed booklet. If you have been newly diagnosed with DCIS, are receiving treatment for DCIS, or have had a diagnosis of DCIS in the past, the My Journey online tool will provide you with information and support that is tailored to your stage of the journey. Find out more at the My Journey online tool website, or order a copy of the DCIS booklet via the Helpline on 1800 500 258.